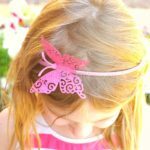 My daughter loves to wear headbands! She also is big into dress up and pretend play. 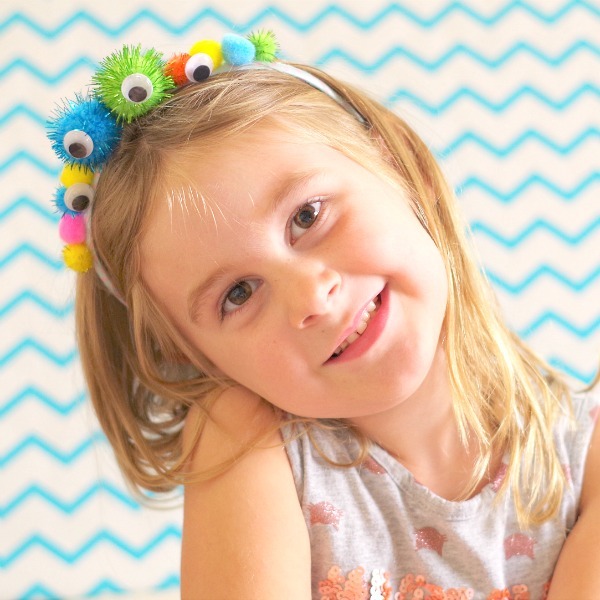 I wanted to make a monster headband for her and this diy monster headband was really fun to make. 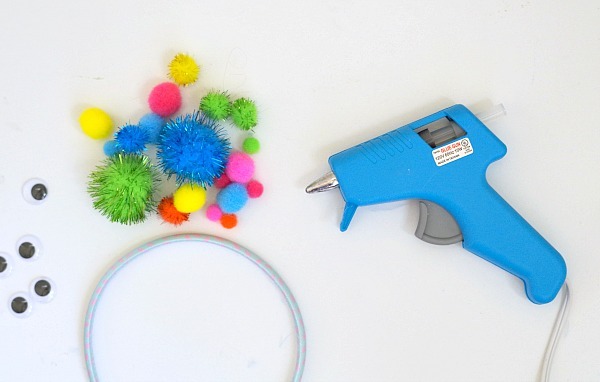 I used things we had around the house to make it. 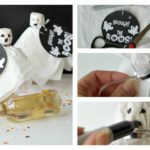 You can make it for pretend play or with a Halloween costume. 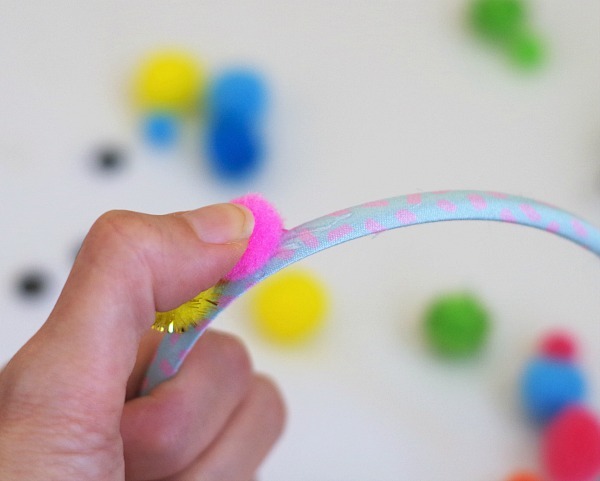 A lot of monster costumes have a huge fuzzy part that goes over your head. 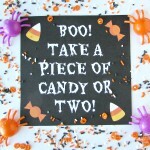 Most kids I know wont wear costumes that cover up most of their head. 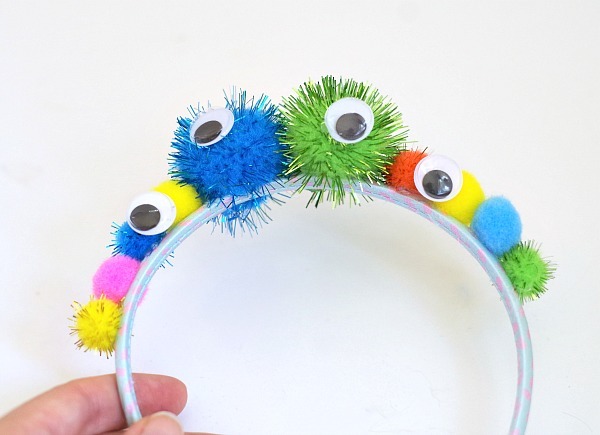 You could then just glue a bunch of googly eyes on a dress and black felt for a mouth . 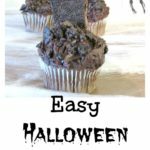 Bam you have an easy no sew costume. 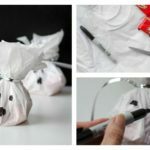 This I thought would be fun for my daughter to wear to school without having to dress up in a costume. 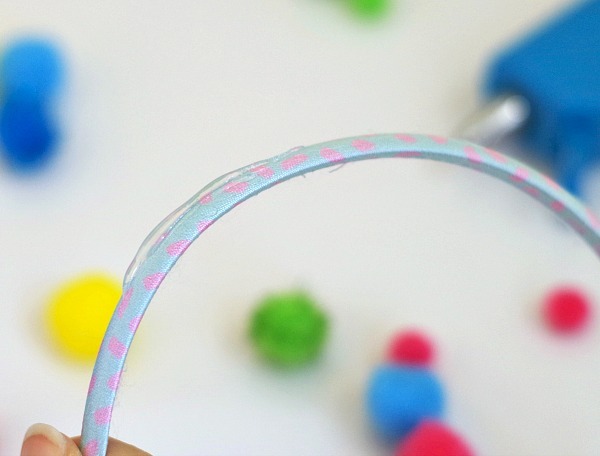 Put a small line of glue on the top of the headband slightly off to one side. 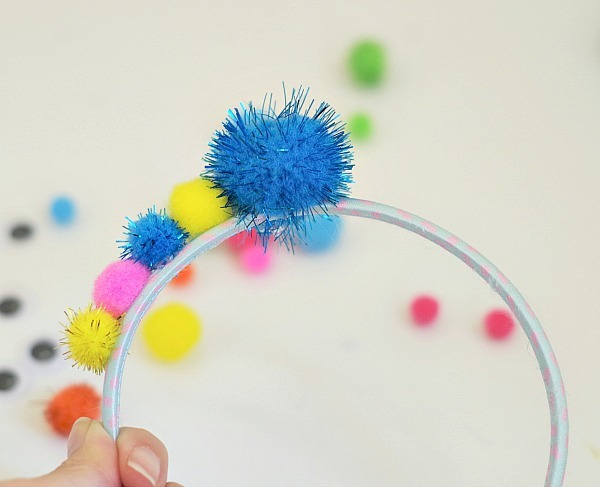 Press pom pom balls one at a time firmly on to the headband. You can use one color to make it look consistent or many colors. 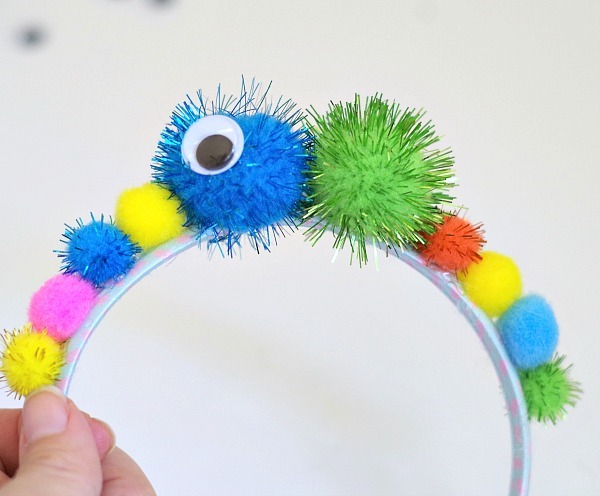 Add more pom poms until you have covered the top middle part of the headband. 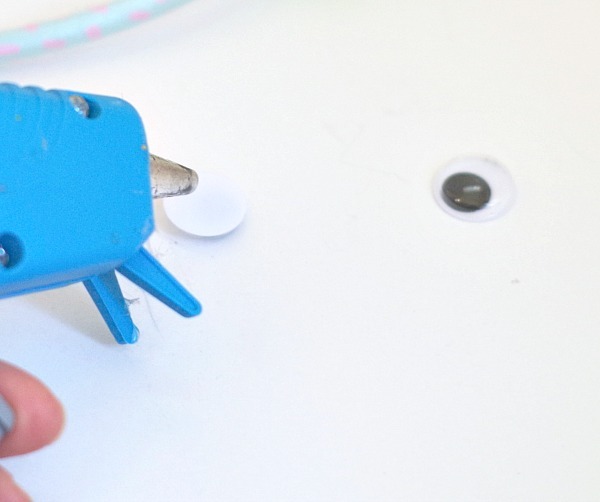 Repeat with more googly eyes. I used about 5 but you can use a bunch. Isn’t my little monster so scary? ;). 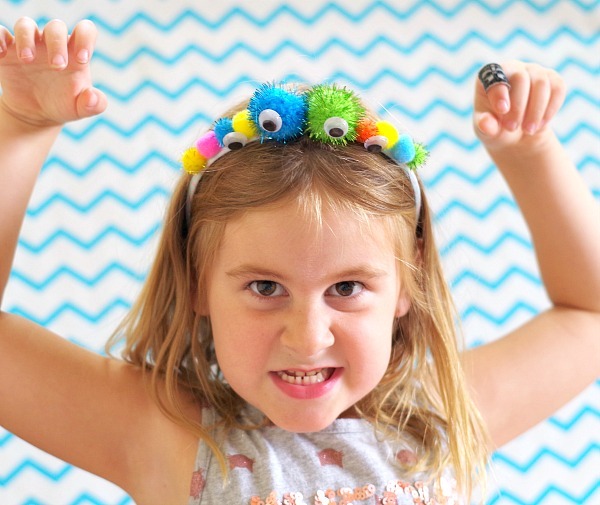 She made her best scary face but this diy monster headband is obviously for the cute monsters not the scary kind! 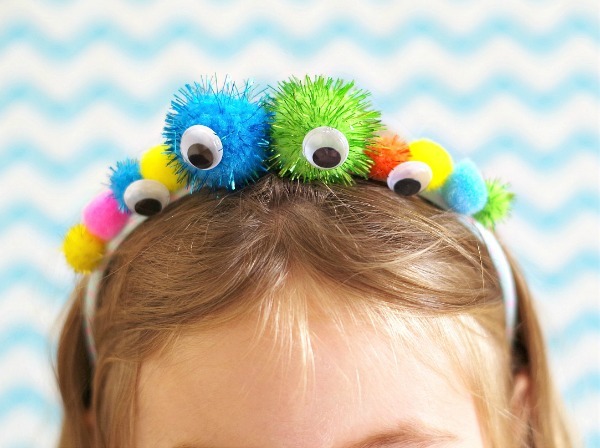 Cute headband and cute monster!